Keto Spatchcock Chicken is a fast and delicious way to cook a whole chicken in half the time. Making a keto chicken recipe using the spatchcock method for cooking poultry, plus seasoning the chicken with a prepared Sriracha mustard sauce makes for a quick keto meal. Keto spatchcock chicken is a great option for any time you want to cook a whole chicken quickly. It’s great for busy weeknights. A whole roasted chicken cooked at home is as delicious as it gets. The only problem is that it takes so long to cook an entire bird. So it’s usually reserved for the weekends when you have more time in the kitchen. Well, I have solution for this. Enter the spatchcock method of cooking chicken. Not familiar with spatchcock cooking? Let me tell you that your’e going to love this method of cooking poultry. By removing the spine (spatchcock) you’re able to cook a whole chicken in half the time and produce a moist chicken with crispy skin. A keto spatchcock chicken is the perfect solution when you want the flavor that comes from producing a whole chicken but you need to bring dinner to the table fast. In case you don’t know I have a complete list of Keto Chicken Recipes that I encourage you to also visit. I used a prepared sriracha mustard to flavor this keto chicken recipe. If you haven’t tried the combination of mustard and sriracha you don’t know what you have been missing. It’s a convenient way to to enjoy both the flavor of sriracha and mustard. Personally I love using it as a marinade for chicken. If you do not have access to sriracha mustard you can make your own by simply adding 2 tablespoons of sriracha sauce to 1/2 cup of brown mustard. Spatchcock also known as spattlecock, is a way to prepare poultry for roasting or grilling. The backbone of the chicken is removed, which allows for the chicken to flatten nicely into your roasting pan. In essence you’re butterflying the chicken for easy cooking. What I love about spatchcocking chicken is that it makes allows the skin to be super crisp while still keeping the meat moist. Plus you can cook the chicken in about half the time it takes to roast a whole bird. Why do you want to cook your chicken this way? For one it cuts the cooking time in half which translates into a juicer bird. Less time in the oven means that it’s less likely to dry out your meat. Who doesn’t want to cook faster and more efficiently? Don’t let the funny name deter you. Spatchcock is a simple technique that will get you in and out or your kitchen faster. One of the main reasons I like spatchcocking is that exposes more skin, which allows for the chicken skin, hence the reason the skin crisps more evenly. Besides roasting a whole chicken in half the time, it makes a more elegant presentation and makes carving a chicken much easier. First rinse your chicken with water and then pat dry with paper towels. 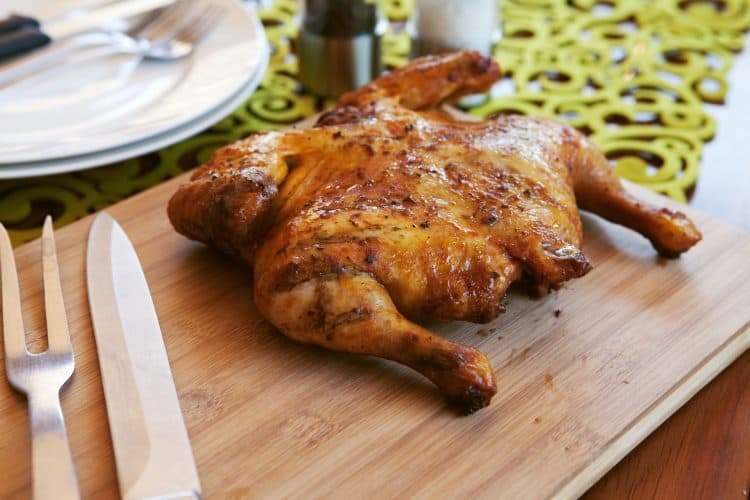 Next lay your chicken on cutting board that can accommodate your whole bird. Open the cavity of your chicken and remove the neck, gizzards, and heart. You can freeze these and use them when making chicken broth. To spatchcock your chicken, carefully cut out the backbone of the chicken using a pair of kitchen shears. Find the back bone and then cut along each side of the spine. Alternatively you can remove spine by cutting from the neck hole instead. Reserve the backbone for your chicken broth. Trust me you don’t want to miss out on the flavor the neck bones provide. By removing the spine off your chicken you can flatten your bird and allow it to cook evenly. I find that cutting a small incision to the cartilage on the back of the breast bone makes it easier to then press your chicken flat. So cut the cartilage then transfer your chicken bone side down unto the cutting board. Using both your hands give a firm push to make the chicken lay flat. Your chicken will now be ready to season. One way I save time is by prepping my keto spatchcock chicken ahead of time so that I can have my chicken ready to roast when pressed for time. What’s more I also like to cook two keto spathcock chickens at a time. 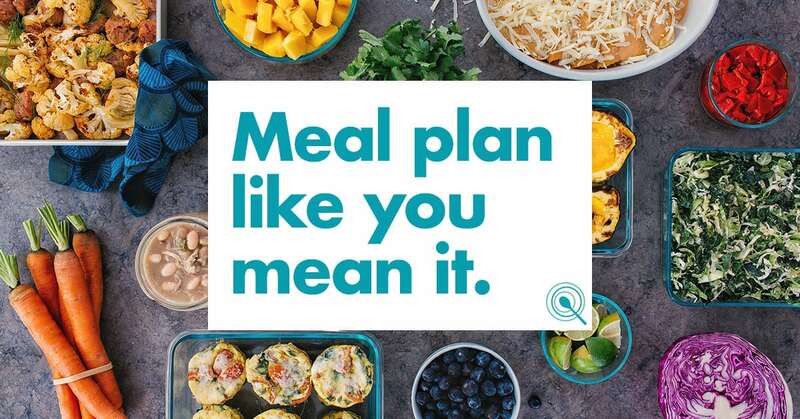 This way I can easily meal plan my keto meals for the week. 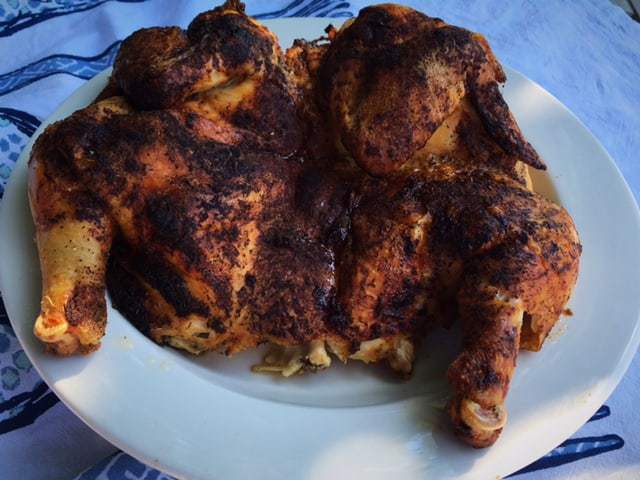 Once your chicken has been spatchcocked you can easily season it by lifting the skin of the chicken from the breasts and thighs. Prepare your marinade according to the directions provided in the recipe. Next spread your sriracha mustard marinade underneath the skin. Be careful not to tear the skin. You want the skin intact so that it can produce a tasty, crispy skin and so that the marinade doesn’t dry out. Once you’ve added the marinade underneath the skin. Salt and pepper your chicken on both sides. Before you place your chicken into the roasting pan, make sure you tuck the wings underneath the bird to prevent them from overcooking. At this time, you can either bake your chicken immediately, or allow it to marinade for a few days in your fridge. Once you learn how to spatchcock a chicken, you’ll be looking for other poultry to spatchcock. Can you imagine the ability to spatchcook a turkey this Thanksgiving? 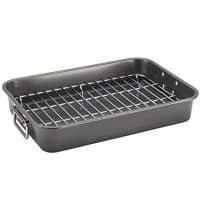 It will allow you to free up your oven for all the other keto baked sides quickly by cooking your turkey in half the time. Plus, it will make carving your turkey that much easier. That’s a major win in my book! The following equipment will make it easier to spatchcock your poultry. I sure hope you will give this recipe a try. Once you do, make sure you remember to tag us on Instagram and Facebook. It’s what keeps this girl encouraged to keep sharing and perfecting her recipes. Also check out our Amazon Store for recommendations. You might be surprised by how many great keto options are at your disposal. 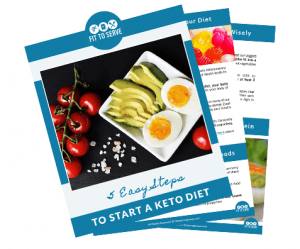 Are you looking for a way to jump-start your low carb keto journey? Can I share with you the number one tip our Fittoserve Group Community Group is using and seeing consistent results with? 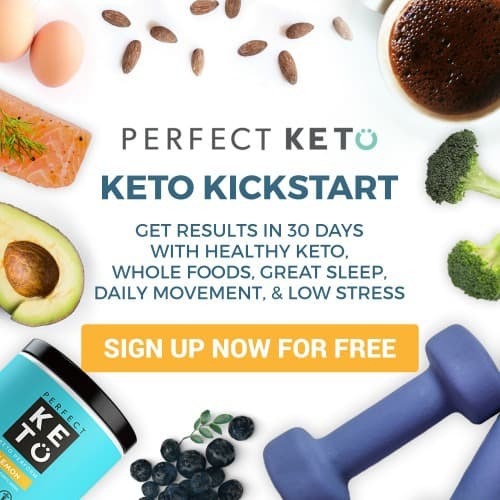 The use of Perfect Keto’s exogenous ketones supplement. Exogenous ketones allow you to drink your ketones and put’s you into a state of ketosis in under 59 minutes. Until now to get into a state of ketosis required days, perhaps weeks of very strict keto dieting. However, with the ability to now drink ketones you can see the results you want to accomplish consistently. Quickly, you can experience what it feels to be in ketosis. 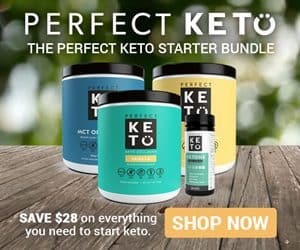 Why is ketosis the goal? 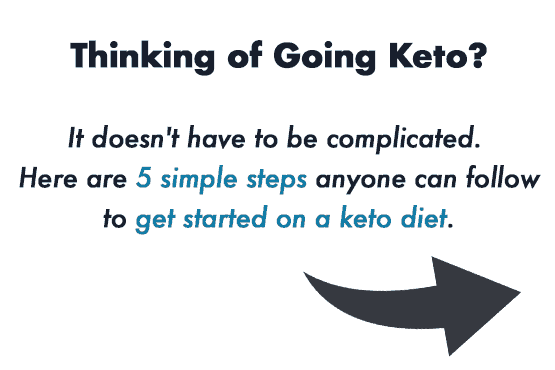 Because once you are in ketosis you don’t have as many cravings and your appetite diminishes significantly. In addition, you have more energy and focus helping you to stay committed to the plan. In the long run, having a tool like this makes the lifestyle easier. Meanwhile, I invite you to read more about the success we are seeing in our community group here. and to consider giving it a try. 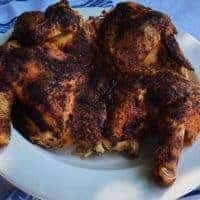 Keto spatchcock chicken is a delicious and easy way to cook a whole chicken. This recipe seasoned with a Sriracha mustard sauce. To spatchcock your chicken place the whole bird breast side down, you want the legs facing you. With cooking shears cut along the backbone moving from tail to neck. Remove the entire backbone, then flip the chicken and with the heel of your hand flatten the breastbone. What you want is for all the chicken to lie uniformly flat. Mix together the white wine with the sriracha mustard to make a marinade. You can substitute the wine for 1/2 cup of water. Set aside. Gently use your fingers to lift the skin of the chicken and thighs being careful not to tear the skin. You want to keep the skin intact. By lifting the skin you will create a pocket where you can then add the sriracha mustard marinade. Next season your chicken on both sides with salt and pepper. At this point you can either cover your chicken and allow it to marinade in the fridge for up to three days or roast your chicken. Roast your chicken for about 45 minutes at 400 degrees or longer depending on your bird’s size. Your chicken will be ready once it registers 150 F degrees for the chicken breast and 170 degrees F for the thighs. Allow your chicken to rest at least 10 minutes before carving. Hi Kathleen, I appreciate the opportunity to link in the Bloggers Pit stop. Thanks for stopping by our blog and commenting ? Hilda, this looks absolutely delicious! I never learned the art of cutting a chicken (you're lucking if you can tell a wing from a thigh when I'm done! ), but I think I could handle cutting out the backbone. ;-) Sharing and pinning and using this recipe the next time I cook a whole chicken! Glad to have found you from Bloggers Pit Stop! Hi Wendy, so thrilled you found my blog and that my little recipe inspires. ?? off to find your blog and give you a follow. Don't you just love Janice? She is my go to person for all things blogging ? I will be definitely trying this out!! Will make cooking a whole chicken a breeze.